What's there to eat at Jurong East's Yuhua Village Market & Food Centre? Besides its fish soup and porridge stall, Fei Fei Roasted Stall is something I'm looking forward to everytime when I was there. Via words of mouth, people commented that their Wanton noodle is a must try but I have no luck as most of the time they were already close or sold out. Joining the queue with more than 20 pax in front, it took us about half an hour before ordering. We did a take away and the noodles remained springy. 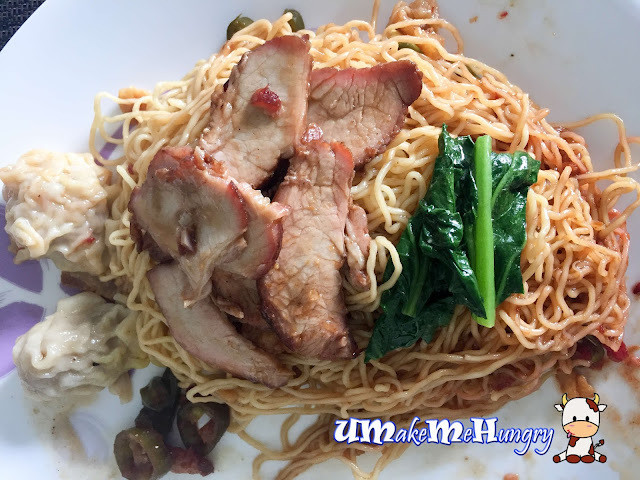 Wanton noodle may have the "Gu Zhao" taste (Taste of the old days) but did not manage to leave a big impression. 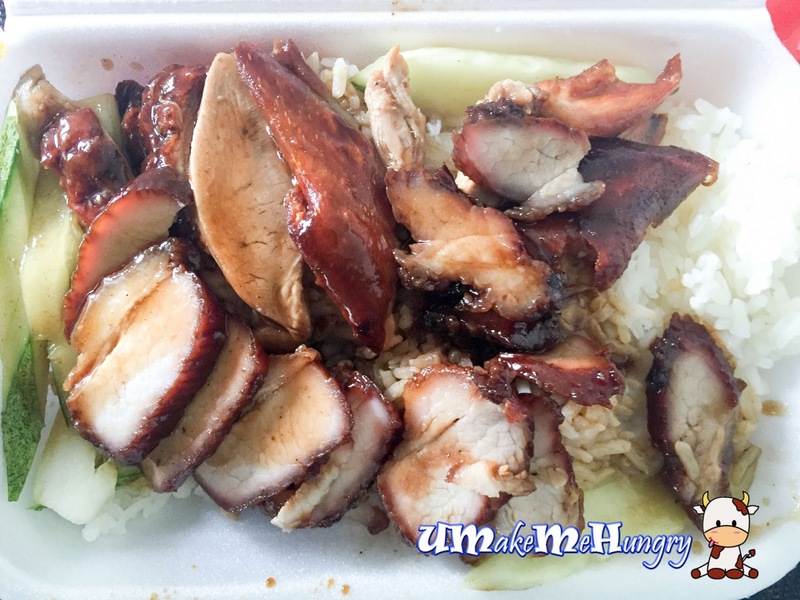 Char Siew perhaps is something worth noticing if you prefer a mixture of fats and meat instead of those lean type. If you notice, Fei Fei's Roasted Meat has a good ratio of fats among the meat and the taste reminds me of Char Siew bought directly from the market. Another noteworthy item will be the Wantons which were beautifully wrap in its "tight-fit" skin revealing its shape of minced meat filling. If you prefer a filling meal, reach out to their plate of rice with roasted meat. In this case, we had Roasted Duck and Char Siew. Roasted Duck was glossy looking and meat was juicy. For those who loves Roasted delicacies, Fei Fei might be one of the better choices among the rest in Jurong East.